Seeing your work in print-- there is nothing like it! Such an adrenaline rush! 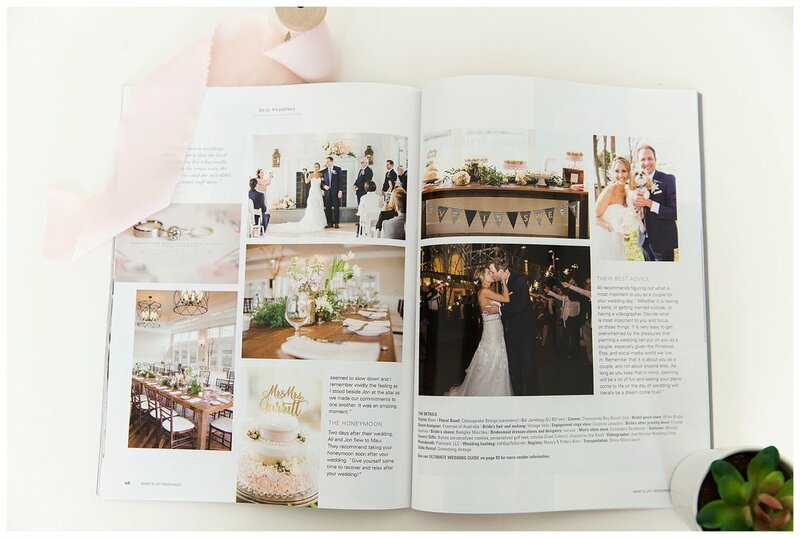 We are so incredibly thankful to have Ali & Jon's Chesapeake Bay Beach Club wedding featured in Whats Up? Weddings. This is their Fall/Winter 2017 issue and it's full of so much goodness for brides-to-be! If you are engaged be sure to pick up your copy in the Annapolis area (Barnes & Noble has them!) or head to their website to order a copy! And of course, thank you, Ali & Jon, for trusting us to document your incredible wedding day. It was truly an honor. This career brings us so much JOY and PURPOSE and we are lucky to be in this industry.